Swatting: An internet prank/crime where someone finds your address either through your IP or because your name and location is known. Then they call 911 anonymously and report a fake emergency. The “swatter” will tell dispatchers that someone at that address is being held at a gunpoint or someone is going to commit suicide and a SWAT team gets sent to the target. 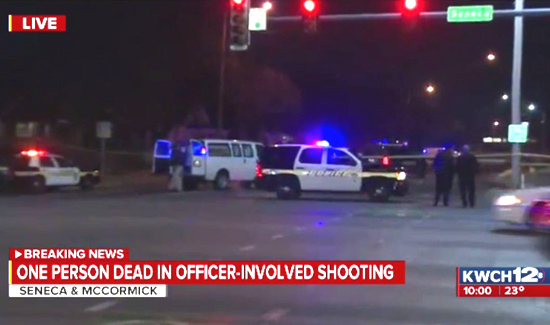 From Kansas.com: Wichita police say a man who was fatally shot by an officer Thursday evening was unarmed but had put his hands by his waistband multiple times during commands to raise them. Deputy Police Chief Troy Livingston says the call was a “swatting” hoax. 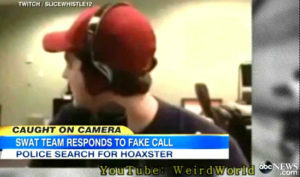 If you want to here the 911 call click here. And if you’re bucking for detective, see if you can determine that the person that made the 911 call is the same person being interviewed in this Youtube clip. The worst part about swatting is it will only increase due to the popularity of online video games and related gambling. It’s also as easy as making up a story and picking up a phone. And based on the psychological profile of a lot of these self-described gamers, they’ll think nothing of having someone killed because of a two-dollar bet or any kind of a perceived slight or insult.